Unless you've been hiding under a rock for the last couple weeks, you've probably heard about Tahlequah, part of the the southern resident killer whale (SRKW) clan, that for nearly 20 days, has been carrying around her calf which died shortly after birth. Researchers, conservationists and animal lovers have been transfixed by the drama, and mourning with Tahlequah over her tragic loss. Tahlequah is part of the J pod, but she isn't the only pod member whose well-being has worried the public. This week researchers discovered that Scarlet, another killer whale from the same pod, looked severely malnourished. And yesterday an emergency mission was put in motion to deliver antibiotics to the ailing whale. While researchers race against the clock to find the actual causes, what can't be delayed is action to help these amazing creatures. 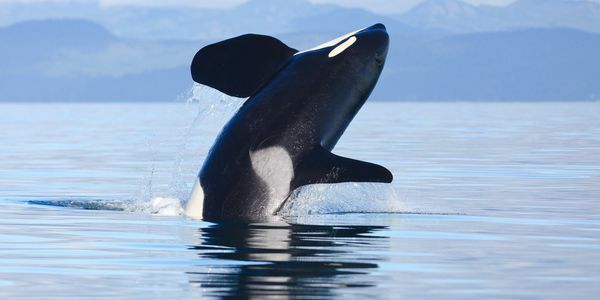 The governor has promised to take action to save the SRKW population, but we need keep pressure on to ensure that everything is done to protect these beautiful marine mammals. Horrible news. The southern resident orca J-pod just lost another member of their family. The recent loss of 4-year-old female J50, also known as Scarlet, marks the third southern resident orca death this summer. Please share this petition to keep the pressure on and help save these beautiful whales.